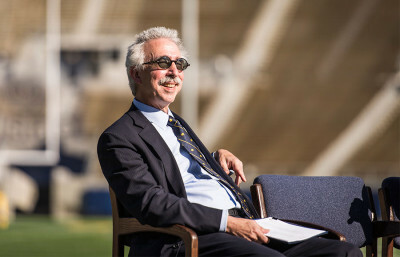 Editor’s note: This is part of our wider coverage of the inauguration of Nicholas Dirks as UC Berkeley’s 10th chancellor on Nov. 8, 2013. Click here to see our page documenting the day. Chancellor Nicholas Dirks’ inauguration is today. To mark the occasion, UC Berkeley sent out an adorable picture of Dirks. As soon as we saw it, we at the Clog knew what to do. We bring you six moments we wish we could have celebrated with Dirks.